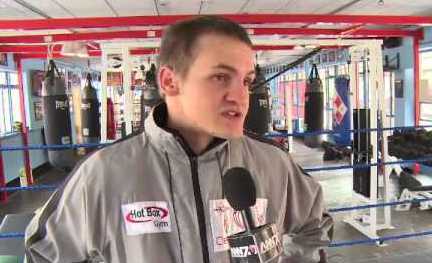 In a top quality contest, Johannesburg’s Hekkie Budler (28-1, 9 kos) retained his WBA and IBO minimumweight titles with a unanimous twelve round decision over WBA number 2 contender Jesus Silvestre (30-6, 22 kos) in the main support to Gennady Golovkin – Martin Murray in Monte Carlo on Saturday night. The official scores were 117-110, 115-112, 115-112. “The Hexecutioner” rated number one by Ring magazine was a clear victor (my score 116-111) but was made to work hard, especially in the opening few rounds when the former WBA interim titlist from Mexico came out attacking from the go. Silvestre, 25, undid a lot of his good early work when he was deducted a point two minutes into the second for going very low with a left rip after being warned thirty seconds into the stanza (he also strayed south in the opening round). Referee Stanley Christodoulou gave Budler, 26, time to recover and issued a stern warning to both Silvestre and his corner saying it was deliberate. The first four rounds were fought mostly at close quarters. The 5’3 Budler got his jab going in the third and by the fifth was at distance piling up a health points lead edging the third stanza and sweeping four to eight, showcasing a wide range of skills. An inch shorter he had a one inch reach advantage and made the most of it getting side on throwing combinations. He was tight inside and accurate outside. Budler weathered the early storm, keeping his guard high and rolling underneath. As the bout went into the middle rounds he was able to turn the more flat footed Silvestre and connect with clean rights. Undeterred, Silvestre kept walking up and had good rounds in the ninth and tenth pressing the fight but Budler finished the better over the last six minutes. (He was told by his corner “don’t panic” before the final round). Even for little men, the fight was fought at a brisk pace with a high punch output by both fighters and a number of rounds were close but it was the slicker more consistent work of the South African star that was the difference. This was Budler’s eleventh victory since suffering his only loss, losing his IBO light flyweight strap to countryman Gideon Buthelezi in 2011 and his tenth successive IBO and fourth WBA world 105 pound title bout, having also won the BA’s interim belt. Previous boxing news: Who are the top undefeated heavyweights today?